AFTER SPENDING more than a decade together in the same nursing home, it is time for Mary O’Toole, Mary O’Neill, and Mary O’Brien to bid farewell to one another. This is 3 Hail Marys, which is coming to the Town Hall Theatre. 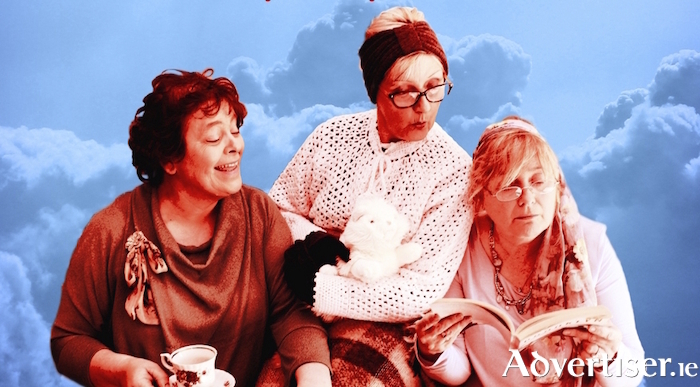 In this rip-roaring comedy, the three Marys might be living through their last day in each other’s company, but they will celebrate it in style. Expect nostalgia, laughs, and a few sing-songs. The play is written by Tommy Marren, author of It’s The Real McCoy and Nobody’s Talking To Me - and it runs at the Town Hall from Thursday October 11 to Saturday 13 at 8pm. Tickets are €22/20 from www.tht.ie and 091 - 569777.